Planning permission secured for 65,000 sq,ft food/non food retail units as part of mixed use redevelopment of redundant factory site on behalf of Hortons’ Estate and Trebor Developments. Prepared EIA to support planning application for multi-dealership car franchise scheme on the outskirts of Douglas on behalf of Eden Park Developments and Jacksons Car Dealerships. Planning permission secured for 65,000 sq,ft new foodstore in Dudley Town Centre on behalf of Cavendish Quarter Properties, a subsidiary of the Abstract Group. 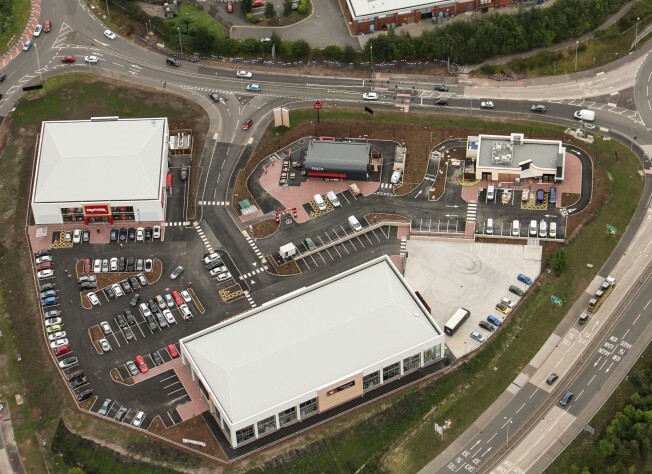 Planning permission secured for 50,000 sq,ft new retail park close to M6 Toll North of Cannock on behalf of Hortons’ Estate and Trebor Developments. Planning permission secured for new gym in Dudley on behalf of MegaGym.